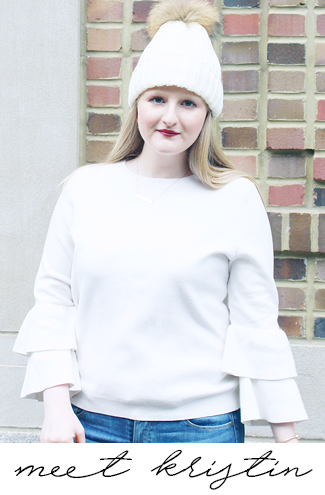 In Part I of this post I discussed how for years I struggled with hair loss that eventually progressed into hair loss combined with brittle and broken hair. I then explained that I became committed to healing my hair and in about nine months I was able to take my hair from falling out and breaking to quickly growing and the healthiest it has ever been. In that post I detailed each step I took to rehab my hair and explained how I got it to grow and get to the point I'm at now (you can read that post here). 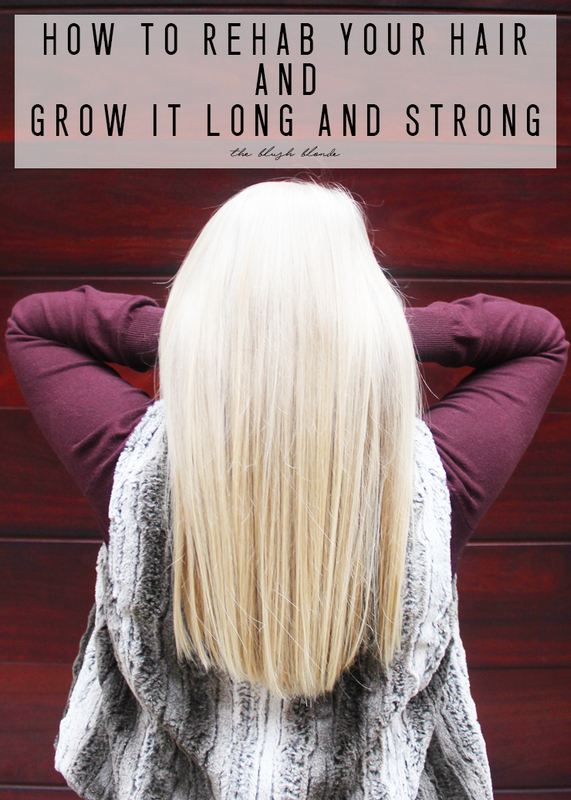 Now that I've shared all of that information, today I will be sharing with you how I now take care of my hair to keep it healthy and continuing to grow. Below I'm breaking it all down for you! I don't like using sulfates in my shampoos for numerous reasons, they can irritate skin (which they do to mine), completely strip your hair of its natural oils, dry out your hair, and more. Sulfate free options are better for the overall health and condition of your hair and skin as they are much more gentle at cleansing. As I mentioned in my last post I make an effort to really "baby" my hair and be as gentle on it as possible to keep it at its healthiest and sulfate free shampoos really help me to do that. A few of my favorite sulfate free shampoos are this, this, this, this, and this. In addition to using a sulfate free shampoo another way to gently wash your hair is to only shampoo your roots. When you shampoo only your roots you are cleansing the source of the oil (your scalp) and leaving alone the drier part of your hair, the ends. Your ends will still get cleaned too when you rinse the shampoo from your roots and it washes out down through your ends, they are just cleaned in a way that is much easier on them and less drying. After shampooing your hair you absolutely need to replenish the moisture you just removed by using conditioner. You need to find a quality conditioner that fits your hair's needs - fine, thick, curly, straight, etc., as this will supply your hair with the correct nutrients to keep it healthy and looking its best. Some of my favorite conditioners are this, this, and this. When you condition your hair you want to only apply conditioner to the bottom two-thirds of your hair, avoiding the roots. After you apply the conditioner then use a wide tooth comb to brush through your hair and evenly distribute the conditioner. By doing this you're ensuring that the ends of your hair are being evenly conditioned and nourished. You absolutely have to use a wide tooth comb or Wet Brush when doing this though because as I explained last week, when your hair is wet it is in its most fragile state and very prone to breakage and if you use a regular brush on it it will definitely cause damage to your hair. Whether you color your hair or not it's important to take care of your hair color so that it looks its best, especially when you're blonde. I don't dye my hair, but when I started this journey I also started using purple shampoo once every one or two weeks and I could not believe how much better my hair looked. I didn't realize that the water in my shower had been making my hair look very brassy and I love how much brighter it looks after washing with the purple shampoo. 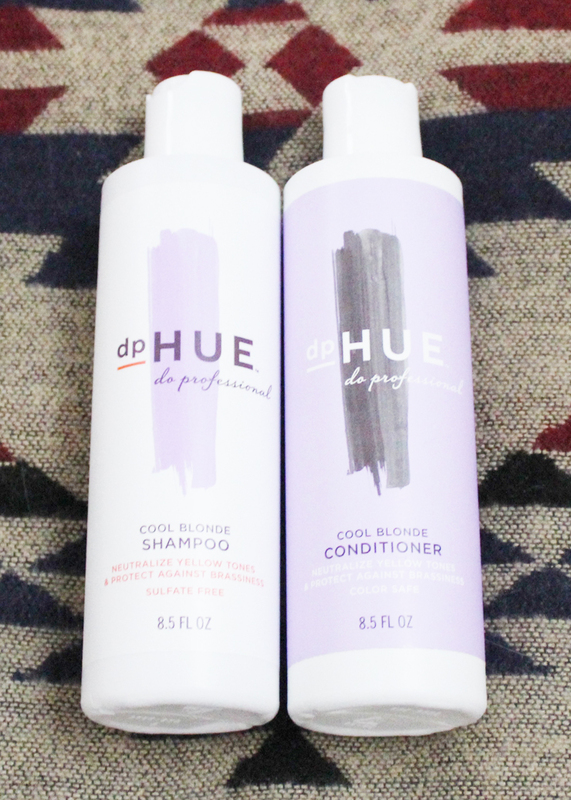 I really love the dpHue Cool Blonde Shampoo (c/o) and dpHue Cool Blonde Conditioner (c/o), and they make shampoos and glosses for other colors too. Try switching out your shampoo and conditioner for an apple cider vinegar rinse. An apple cider vinegar rinse is a very, very gentle way to wash and condition your hair and it also saves time! I am completely obsessed with dpHue Apple Cider Vinegar Hair Rinse (c/o) because it cleanses and conditions my hair in one step; it also calms down any scalp irritation I might be having and leaves my hair incredibly soft. Using deep conditioner, hair masks, and oil treatments is so important to the overall health of your hair. I aim to use one of these at least once a week. These go beyond your normal conditioner to deeply nourish and hydrate your hair. They also help to prevent further damage, strengthen your hair, soften it, and improve its overall appearance. Deep conditioners I love include this, this, and this. I'm also a huge fan of natural oils, like coconut oil, jojoba oil, and DIY treatments, like this and this. Both alcohol and silicone are bad for and cause damage to your hair and should therefore be used only in moderation. Alcohol is very drying, which can lead to breakage, so I try to limit or not use products that contain it. Silicones make your hair look healthier, but in actuality are damaging it. Silicone creates a buildup on hair strands that isn't broken down by shampoo, and conditioner cannot penetrate this buildup. Conditioner instead sits on the surface of you hair, which makes hair brittle and can cause frizz and breakage. I avoid all products with silicones on my hair and have seen a major improvement since I began doing this. You can learn more about silicone in hair products here. Since a big part of rehabbing my hair was using less heat on it I needed to learn to style my hair while air drying it. There are so many great air drying products on the market now and you can get them anywhere from Sephora to the drugstore. I use this product to smooth and nourish my hair, this one to help my hair grow and also smooth it, and this to add waves and texture to my hair. Another big part of rehabbing my hair was washing my hair less and in order to do that I needed to be able to extend my hairstyle. To extend my style I use a combination of baby powder and this dry shampoo. To learn more about how I use them read the post I did on it here. This is how I take care of and continue to rehab my hair! You can find Part I of this post here. I personally love Aveda's hair care products. Wow, I didn't know about a lot of these! I do always use a comb though! Great tips! As a blonde I also love purple shampoo, it really is a game changer! this are great tips again! i'm not sure i agree with the combing during conditioning though, because i am a big believer in not brushing your hair while it's in the shower :) but others, i agree 100%!! Definitely switching to more natural products has helped my hair tremendously.